Look Bright In These 15 Blue Salwar Suit Designs! One of the most pleasant colours in this world is Blue! From the bright blue sky to the pristine blue waters, this is a blissful shade of mother nature. The darker hues of Blue, like the Royal blue, Prussian blue, and Navy Blue have a huge following in the Indian wear segment. Blue Salwar Suits are known to make a person shine with glory, as it can complement the Indian skin tone very well. Also, the symbolism associated with blue colour, in terms of its positive effects on the mind and body, makes it an eternal favorite! In this article, we shall explore the 15 latest blue colour salwar Kameez designs to try this season. Blue Salwar suits are suitable for women of all age groups. The glossy, bright blue suits are usually picked by young women and teenagers, while the light, pastel suits are suitable for even elderly woman. 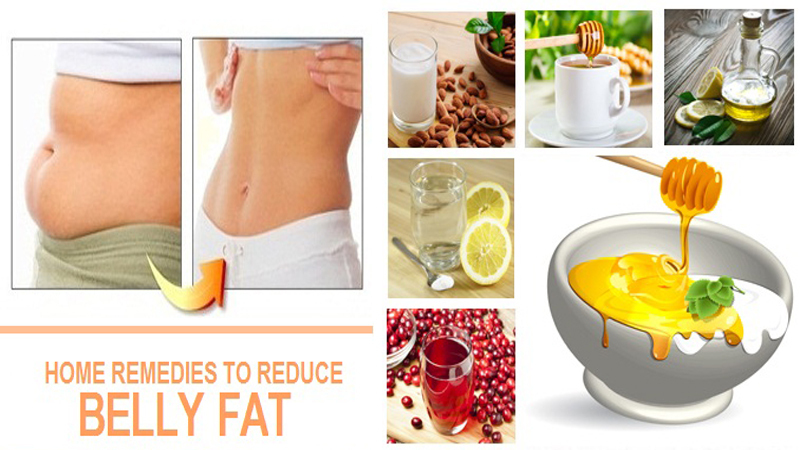 You can even pick from a variety of patterns, cuts, and shapes that complement your body shape. 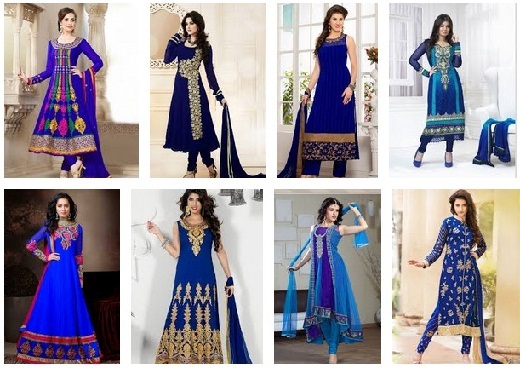 Let’s have a look at top 15 blue salwar suit images for ladies in India. The pink and Blue combination is one of the classy colour matches. This Pink and Blue Banarasi silk salwar suit is designed with an Angrakha style Kurta. The side slits are embellished with designer lace borders. The bottom is a blue Palazzo trouser, which is matched with a blue dupatta with pink border. Blue and Green colours represent the two main elements of nature and is one of the most sought-after combinations. This blue and green Ikat long style salwar suit is the latest trend in the market. The frock style outfit is made with pure silk Ikat fabric and is the modern alternative to wearing silk sarees. Pair with gold jewellery to look wedding ready! Plain blue salwar kameez suits are the most versatile outfits ever! This pretty piece comes with a simple embellished round neck and a fancy gold lace border on the Yoke part. The sleeves are also given a touch of shine. This dress can be styled in any way to make it suitable for grand as well as simple occasions. If you have a family wedding, this outfit deserves your attention! 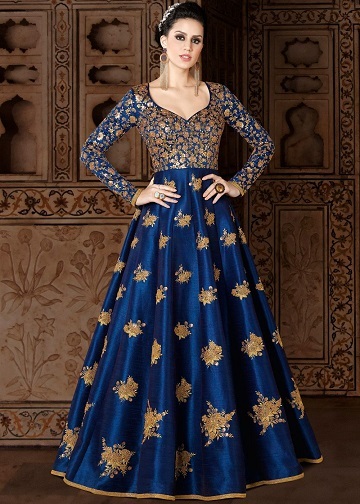 The Teal blue, floor-length Embroidered Anarkali Salwar Kameez dress is heavily embellished with golden thread work on the chest and sleeves part. The Yoke is adorned with pretty golden floral motifs to make it look glamorous. Pair it with statement jewellery to impress the crowd! Looking ravishing in this Blue party wear salwar kameez! The dark blue salwar suit is adorned with a jewellery style, heavy neck pattern. It is designed with full sleeves, that have intricately done embroidery. The highlight is the front slit, which is embellished with rich, golden lacework. It is best worn for large scale events. For all those who are true Punjabis at heart, check out this stunning navy-blue Punjabi salwar suit. The well-fitted Kurta comes in a short style pattern with an embellished neckline and sleeves. The bottom is a floral printed Patiala trouser. It is matched with dual shaded blue dupatta to look elegant! Amazing shades of blue along with red broad borders at the bottom and neckline highlight this suit. The floor touching kameez with golden intricate work gives a mesmerising look to the suit. The tight fit at the waist reflects your waist line and a perfect suit for evening party. This type of simple light blue salwar suit with shaded dupatta looks awesome when carried. Towards the end of kameez laces are embossed and the pleated churidar enhances the look by many folds. Pretty blue colour salwar kameez for young girls to flaunt their looks and can be worn as collage wear, office wear also. This type of straight cut blue salwar kameez is very popular among youngsters. The navy blue suit is designed in velvet fabric and the artistic golden work all round the suit highlight the look. This is the awesome blue salwar suits designs. This type of Pakistani slawar kameez is very much in trend as it gives you an elegant look. The awesome colourful thread work at the neck sleeves and even at the salwar makes the suit appear amazing and smart when worn. This type of stylish and flare ivory blue suits looks very stunning and you can easily create your own style statement. The blue and white combination with orange flower designed makes the suit appear remarkable when won by young girls. Here comes the short navy blue kameez with heavy silver intricate work at the bottom of the suit. The shaded pleated churidar along with net dupatta complements your look and set you ready for a party. The timeless blue and cream long salwar kameez with golden motifs at the neckline highlight the suits when worn. The long sleeves along with pleated churidar makes you appear sophisticated. In this type of suit minimal accessories would be required to enhance the looks. This is perfect suit for weddings. This full length georgette blue salwar suit looks stylish and ethnic among the modern women. The shoulders have classy golden flowers embossed, pretty golden work at the waistline along with artistic mirror work at the bottom of kameez. This type of suit makes you appear classy and gorgeous when worn. This stunning blue salwar suits for young ladies. These cotton blue salwar suits are made in cotton, the most soothing and comfortable fabric. The red patch work on the neckline with light blue salwar highlights the suits thus making you feel relax when worn. The shaded dupatta complements the suit thus making it an ideal casual wear suits. How To Style Blue Salwar Suit? Opt for matching footwear to complete your look! Aren’t these 15 Blue Salwar Kameez Suits too good to resist? Blue is one colour that can uplift your moods instantly and drive away your ‘blues’! The many shades of blue in various patterns, prints and cuts can easily make way into your wardrobe. With our expert style tips, you will also ace the look and get noticed wherever you go. So, don’t wait until the last minute! Pick your favorite piece and rock the show! Next Story → Stay Evergreen With These 15 Green Salwar Kmaeez designs! 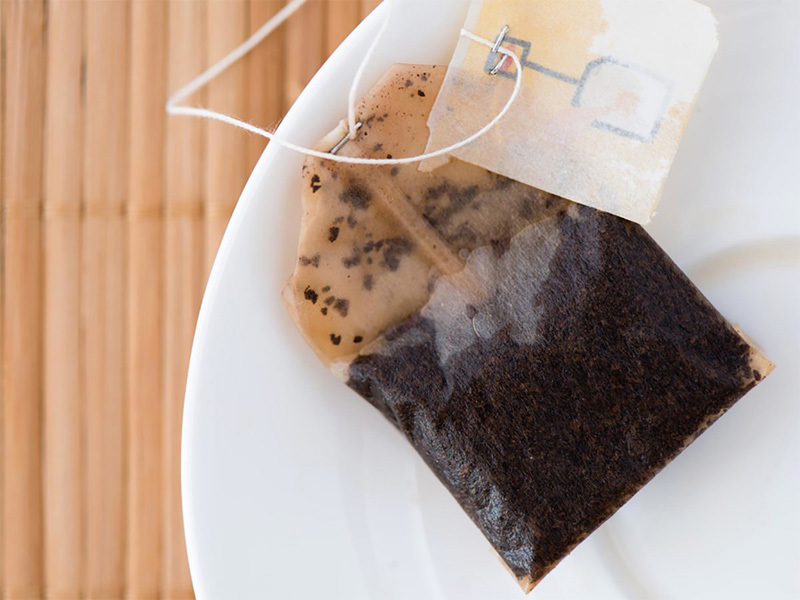 How To Use Tea Bags for Dark Circles Under Eyes? 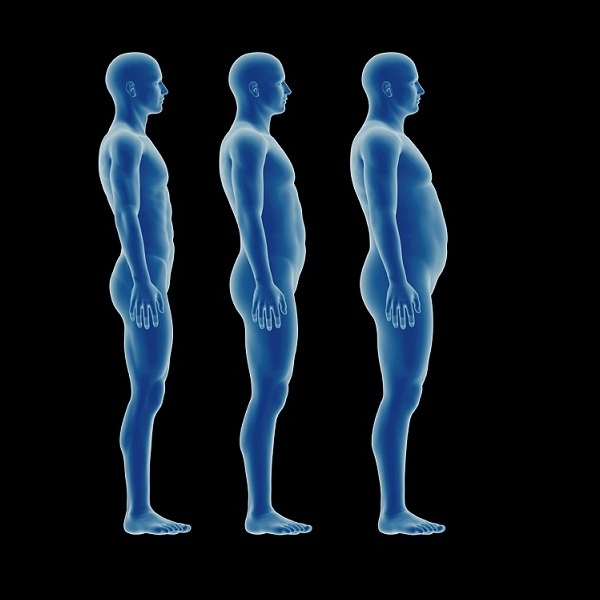 How To Gain Weight Fast For Men And Women?